Just been sent a really sweet set of pics and trailers for the new Incredible Hulk movie (due for release in the UK on June 13th 2008)! THE INCREDIBLE HULK kicks off an all-new, explosive and action-packed epic of one of the most popular superheroes of all time. 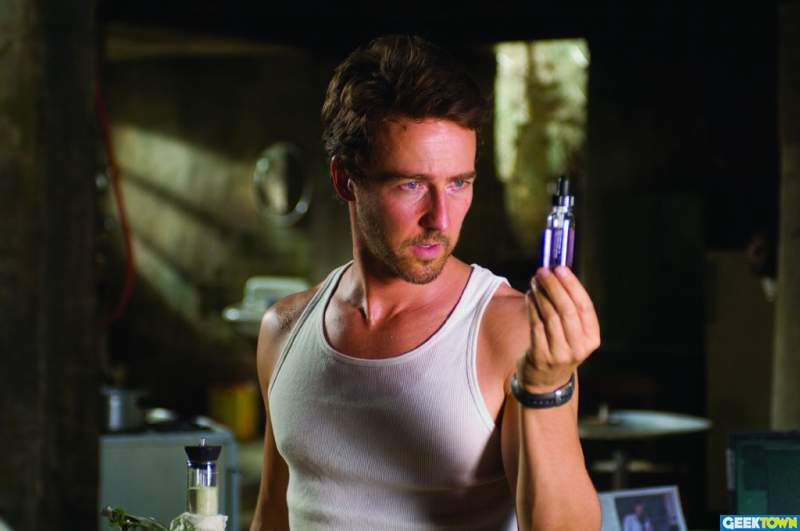 In this new beginning, scientist Bruce Banner (Edward Norton) desperately hunts for a cure to the gamma radiation that poisoned his cells and unleashes the unbridled force of rage within him: The Hulk. Living in the shadowsâ€”cut off from a life he knew and the woman he loves, Betty Ross (Liv Tyler)â€”Banner struggles to avoid the obsessive pursuit of his nemesis, General Thunderbolt Ross (William Hurt), and the military machinery that seeks to capture him and brutally exploit his power. As all three grapple with the secrets that led to The Hulkâ€™s creation, they are confronted with a monstrous new adversary known as The Abomination (Tim Roth), whose destructive strength exceeds even The Hulkâ€™s own. And on June 13, 2008, one scientist must make an agonizing final choice: accept a peaceful life as Bruce Banner or find heroism in the creature he holds inside – THE INCREDIBLE HULK. Check out the pics below (click the pics for the larger versions).